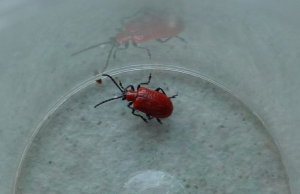 Observation - Lily Beetle - UK and Ireland. Description: Probably, alas, the first of many in the garden. Probably, alas, the first of many in the garden.